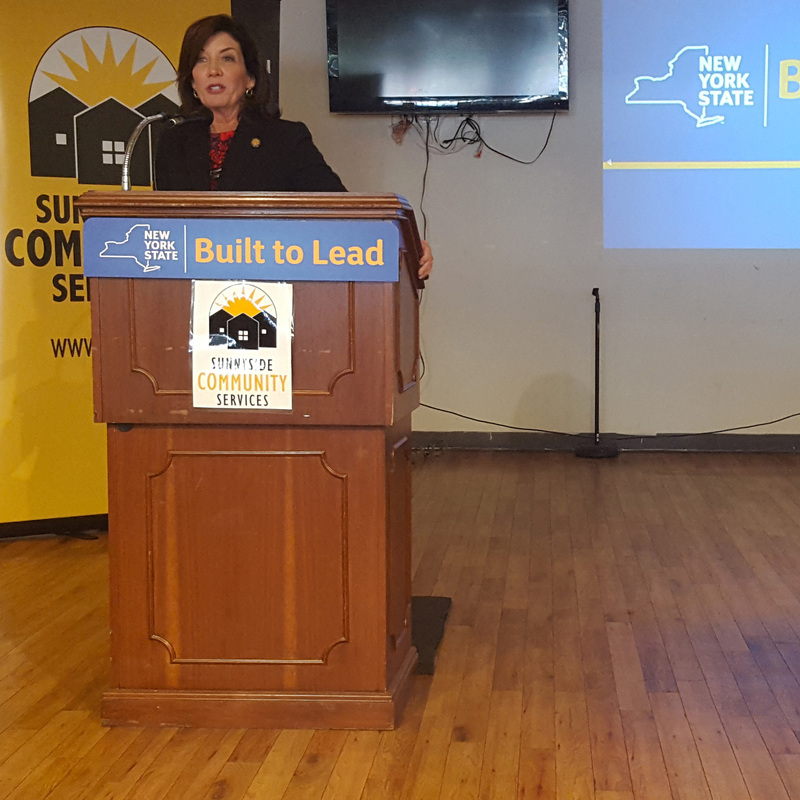 New York State Lieutenant Governor Kathleen C. Hochul presented highlights from Governor Mario Cuomo's "State of the State" address to a large audience of members and participants at Sunnyside Community Services, after which she met briefly with attendees. 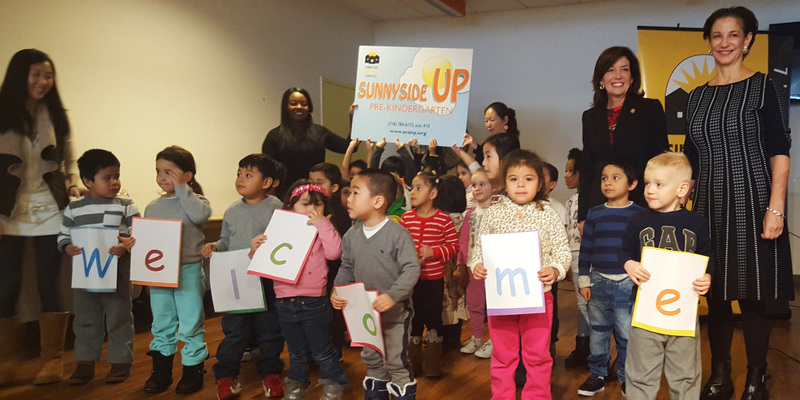 Children in our Pre-K program gave the Lieutenant Governor a warm welcome before the event. 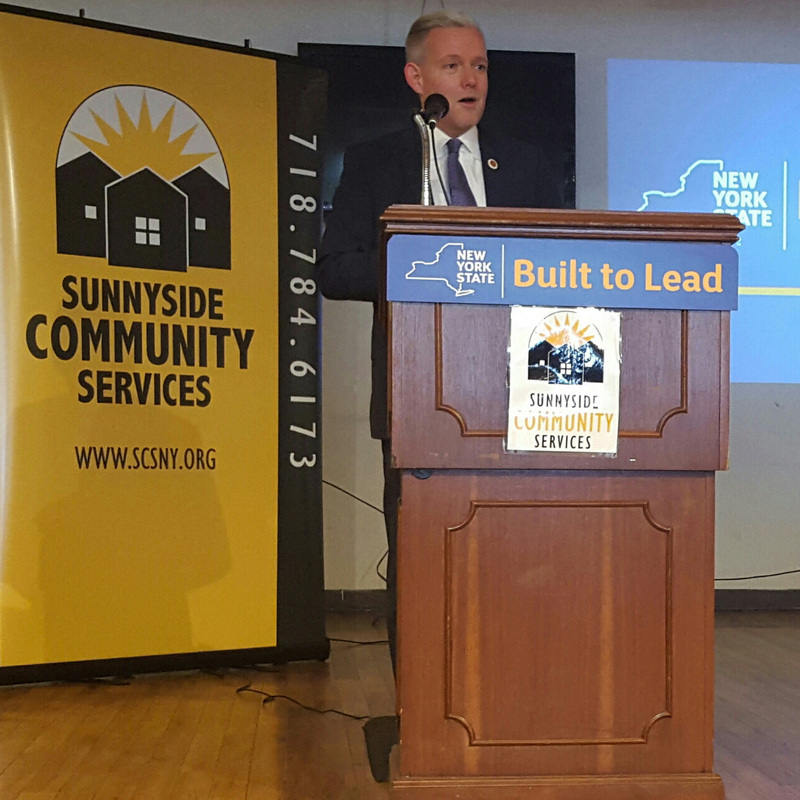 NYC Council Majority Leader Jimmy Van Bramer was on hand to provide a warm and personal introduction for the Lt. Governor. 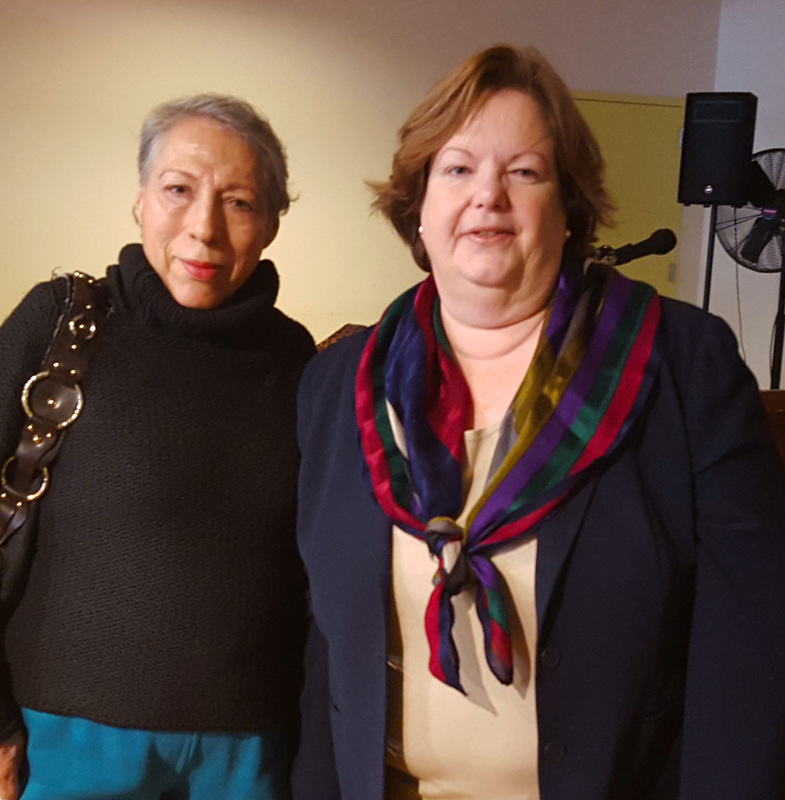 Assemblywoman Cathy Nolan wrapped up the event, and also met with the assembled members. You can see Governor Cuomo's State of the State address here in full.